The most important party of the year is here & we are ready! Are YOU? 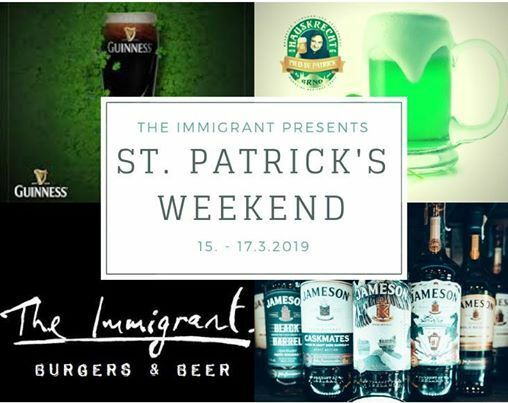 Jimmy our Irish manager will be there pouring your Guinness the real way! 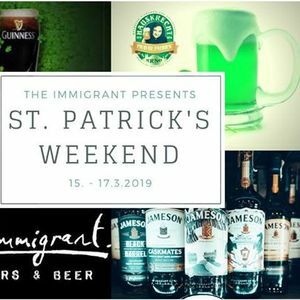 So sign up now and get ready to party like you're Irish at the biggest St. Patrick's celebration in Brno! * Food specials & burgers! And for Guinness lovers, fresh pints of your favorite Dublin brew will be on 4 taps! Best enjoyed with good Irish food specials and great friends. Free entry! Payment during the party is CASH ONLY.